Evil twin/good twin and amnesia are a couple of favorite women-in-jeopardy storylines (and especially were when made-for-television movies were more prevalent). 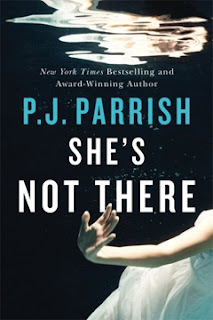 One of them is used in “She’s Not There,” by sisters Kristy Montee and Kelly Nichols, writing under the pen name of P. J. Parrish. Here’s a hint: There are no twins in the story. What P. J. Parrish does well is move a story along. This is evident in their Louis Kincaid series, and it is evident in what I assume is the first in a new series. 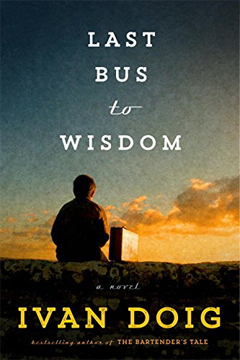 The authors have now created “Amelia Brody,” an intelligent, self-sufficient female protagonist … who has amnesia. Clay Buchanan, a skip tracer with a sketchy background, is sent to find her when she leaves the hospital in a panic. What is she running from? Is her husband a good guy or a bad guy, and is he even her husband? If he is good, why did she run from the hospital after hearing his voice? How will she survive in a muddy little black dress, with no money, and with cuts and bruises over her body? Why was Clay Buchanan really hired to find her? “The Lock Artist” by Steve Hamilton was a masterpiece. “The Second Life of Nick Mason” attempts to copy that story in many ways. Hamilton is a great storyteller so it’s not a problem. Nick Mason is a criminal. He was small-time, but then he was caught when a deal went sideways and a federal agent died. He expected to spend twenty-five years to life in prison, but something unexpected happened. 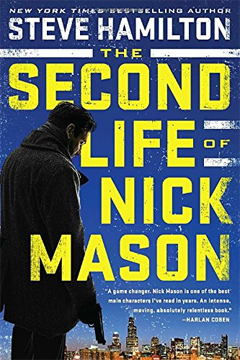 A lifer named Darius Cole still manages to run Chicago’s criminal side from inside, and he wants Nick Mason on the outside doing his bidding. If Nick didn’t have a nine-year-old daughter whom he hasn’t seen in five years, he would have walked away. It is the deal with this particular devil that nominally frees Nick. The catch is that Nick must answer a special cellphone and do whatever the voice on the other end requires. And that voice requires a lot. How does he get back in contact with his ex-wife and his beloved daughter? How does he avoid doing anything heinous for Cole? Will the dogged detective, Frank Sandoval, who originally sent Nick away, manage to trap Nick and send him back to prison? Can he ever call anything “normal” again? Hamilton wastes no time getting Nick into the thick of things. At the same time, he presents the big reveal about the night it all blew up for Nick well into the book. In terms of structure, Hamilton knows what he is doing. There are many other significant characters and Hamilton makes them play their parts well: the buddy, the girlfriend, the crooked cop, the dark and mysterious go-between. Even if the language isn’t standard noir, the story is. 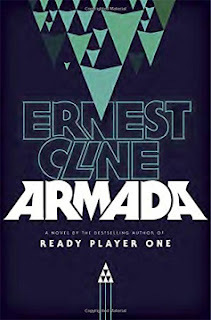 Chris Holm has turned from writing about collectors of souls in his intriguing fantasy/pulp series to this straightforward thriller. 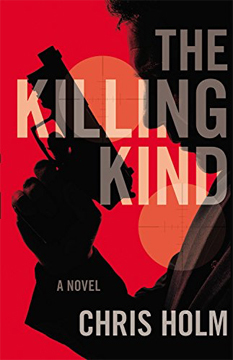 There are hitmen galore in “The Killing Kind.” First is the original hitman hired to do what hitmen do. Then there is the hitman hired by the potential victim to protect him against his potential killer. Then there is the hitman who is hired to find the hitman who is hitting hitmen. Clear? Michael Hendricks makes his living, although he has been officially declared dead, by convincing people that they are about to be whacked and wouldn’t it be worth their while to hire him to kill the hitman? Alexander Engelmann is an elegant, sadistic, European psychopath who is hired by The Mob to find the man who is killing some of their most effective hired guns. Special Agent Charlotte “Charlie” Thompson is the FBI agent who is no longer thought to be crazy for believing that there is a hitman hitting hitmen. Without knowing exactly who Michael is, she calls him her “ghost.” She’s usually a step behind everyone else, but, really, she can’t catch all the killers before the explosive denouement, can she? “The Killing Kind” adheres to the thriller scenario pretty well, and the hitman hitting hitmen schtick is clever. For better or worse there’s nothing too deep to slow the story down and nothing to stop you from enjoying this read either. 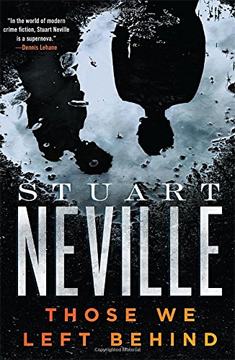 Stuart Neville’s bleak, uncompromising, noirish view of Northern Ireland is unsettling and difficult to read sometimes. There is no doubt that Neville is a powerful writer. His DI Jack Lennon series is exceptional and laudable. His standalone, “Ratlines,” was an eyeopener. I had to read “Those We Left Behind” in small sections because it was emotionally so raw. Everyone has a disability, an issue, a hole in their souls. DCI Serena Flanagan has just returned to duty after attending to a personal issue. She is out of step with the rest of the force and is driven even further afield when an old case steps to the forefront. Ciaran and Thomas Devine were foster children when Ciaran confessed to killing their foster father. Flanagan always thought Thomas had actually committed the murder and forced his younger sibling to take the blame. Paula Cunningham is the probation officer assigned to Ciaran, and her sympathies, too, lie with him. He is now nineteen and just released from institutional care. It is her job to see that Ciaran fits into a society he only remembers through a childhood haze. He certainly is not capable of carrying on as an adult. Judged merely an accessory to the crime, his brother Thomas has been out for a couple of years. All they have to do is stay out of trouble and they are home free. Daniel Rolston, the son of the murdered foster father, has had his life destroyed by the Devine brothers. His mother committed suicide shortly after the murder. When Ciaran is released, Daniel’s life goes into a tailspin. He becomes a stalker and not just of the Devines. To her occupational detriment, Flanagan wants Ciaran to admit to Thomas’ guilt. To her occupational detriment, Cunningham wants to protect Ciaran from his brother. The stage is set for lots of tragedy. It’s just a question of how many dead bodies will result, how many tattered professions will be left hanging in the wind, and how bloody it all will be. Wow! “Wow” for how much I enjoyed “The Girl in the Spider’s Web.” “Wow” for what a tough row Swedish author David Lagercrantz had to hoe. “Wow” for cui bono: The continuation of the popular, thrilling, and provocative Millennium series props up the piggy banks of the estranged father and brother rather than Stieg Larsson’s long-term life-partner. And, lastly, “wow” for what Larsson’s projected plan for his characters must have been and how little we will ever know of that plan. 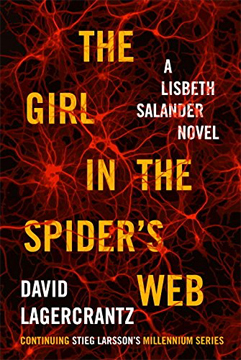 David Lagercrantz captures the essence of Blomqvist and Salander, recapitulates Larsson’s central social concerns, tightens the writing, creates new compelling characters, but doesn’t quite deliver on the surprise and portrayal of exquisite revenge. But he comes close enough. 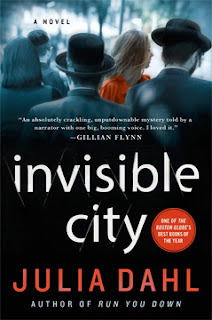 Larsson evoked, "Oh, no, he didn’t; where’s the next book?” at the end of his books, whereas Lagercrantz evokes, “That was well done.” A compulsion created versus a satisfaction met. At the beginning of “Spider’s Web,” it has been awhile since Blomqvist and Salander have had contact with each other. The fortunes of "Millennium" magazine, the heart of Blomqvist’s passion, are on the wane. The board of the magazine must make a deal with the devil to survive, unless Blomqvist can pull a big, issue-selling story out of thin air. Also a hacker has broken into the supposedly unbreakable NSA computer system in the U.S. Hmmmmm. The underlying theme of “Spider’s Web” rides on the backs of the Julian Assange and Edward Snowden classified information stories. What should be ultra secure government organizations are actually leaky ships. (And should those organizations have the right to so much information anyway?) In the dark world of the Darknet lurk extraordinary hackers and they may have discovered damning evidence of a conspiracy to privately make money from government-held secrets. When Frans Balder, a computer and mathematical genius who is working on artifical intelligence, is murdered, his autistic son, August, may be the only witness. Are August and other computer geniuses at risk? In separate storylines, we see Blomqvist and Salander facing these issues. Their “relationship” is fraught with past tensions and misunderstandings, but bonded by unacknowledged tender feelings and implicit trust. They must rely on each other (but not in person) to solve what becomes intertwined problems. Lagercrantz brings Blomqvist and Salander back to life with respect and a good eye for who they are. He also vividly creates or fleshes out some unusual characters like the odious but brilliant Ed Needham of the NSA and a wonderfully surprising guest from Salander’s past. Finally, I can’t imagine Larsson writing this sentence: “Pensively he brushed his teeth and undressed and climbed into bed.” It is at once mundane and authentic. It felt as if Larsson always had an issue or deep thought to put forward, but Lagercrantz affords the time to set the stage. In this way, Lagercrantz moves forward both the action and the attending humanity. But Larsson’s originality and zing are ever so slightly missed. The gothic novel never really died, but if it had, Kate Morton would single-handedly be responsible for its resurrection. In “The Lake House,” there are tragic heroes and heroines, an old mansion, wickedness, and secrets that go boo! in the night. There are also a couple of intertwining story lines, one contemporary (2003) and the other hidden in the 1930s and 40s. The contemporary heroine, Sadie Sparrow, has been “ten years on the police force, five as a detective” in London, and she’s in trouble. Teased out in bits to the end of the book is why Sadie is “vacationing” at her grandfather’s home in Cornwall. Initially, we find out that Sadie has talked with a reporter about a case, leaking details condemnatory of the police actions. In 1933, the youngest child of a well-to-do family, 11-month-old Theo, disappears on Midsummers Eve. A few days later the body of a family friend and treasured house guest is found in the river. Disconsolate and grieving, the family moves to London, leaving Loeanneth to crumble into its surroundings. In 2003, eighty-six-year-old Alice Edevane and her older sister, Deborah, are what remain of the household at the time of the disappearance. Alice is now a famous writer of detective novels: “Alice’s books were English mysteries, but there was nothing cosy about them. 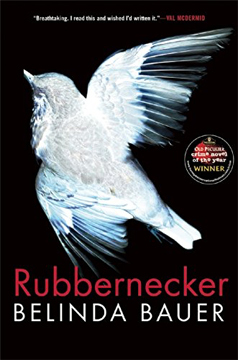 They were the sort of crime novels reviewers liked to describe as ‘psychologically taut’ and ‘morally ambiguous’, whydunits as much as they were whos or hows.” (Personally, I envisioned Ruth Rendell.) 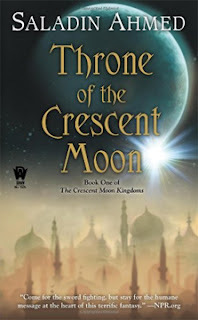 She harbors a secret concerning the night her brother disappeared. Most of the book is the slow unveiling of what she and others in her family knew of that night. Sadie doggedly pursues, unofficially, this case that ended with no conclusion or suspects. Had Theo been kidnapped? There was no ransom note. Had he been murdered? A body was never found. There were too many people on the grounds of Loeanneth to be of any help in narrowing down suspects. Was Daffyd Llewellyn, the unfortunate man who died the same night, involved? In the end, “The Lake House” is a novel more of romance than mystery. 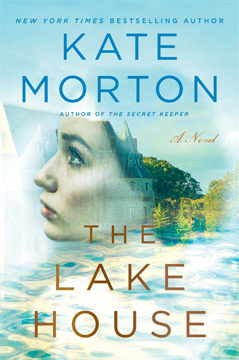 Morton is a great storyteller and can sweep a family epic convincingly. And speaking of sweeping, thank goodness, I say, for a tidy ending!